Tomasz Juszczak, Bożena Kornatowska, Roman Michalak and Malgorzata Buszko-Briggs are in the Liaison Unit of the Ministerial Conference on the Protection of Forests in Europe in Warsaw, Poland. A successful example of a country-led regional process with high-level political support, concentrating on key issues of importance to the region. It has been 14 years since the Ministerial Conference on the Protection of Forests in Europe (MCPFE) launched its work aimed at the better protection of forests through sustainable management. From the beginning, MCPFE recognized the need for wide international partnership and collaboration to address a variety of forest-related issues all over the region. Nature does not recognize borders, and there should be no borders where forests are concerned. The dialogue within MCPFE has succeeded in establishing close and fruitful cooperation on a wide range of concerns related to European forests and forestry, as well as in expanding political and scientific communication at the international level. This dialogue has always involved government representatives of the participating countries and an array of stakeholders, including environmental and social non-governmental organizations (NGOs), forest owners’ associations, the forest industry and intergovernmental organizations. The MCPFE Work Programme is structured according to the three pillars (environmental, economic, socio-cultural) of sustainable forest management and aims to contribute to the sustainable development of society at large (MCPFE, 2003a). This article describes the factors that make the process successful and some of its key achievements, particularly improved collaboration between Eastern and Western Europe; the development of pan-European criteria and indicators for sustainable forest management; work on economic aspects of forests; and intersectoral cooperation with environment ministers for the conservation of forest biological diversity. Forty-four European countries have been involved in the MCPFE process, and several non-European countries and international organizations have participated in the process as observers. Consequently, MCPFE has not only provided a forum for cooperation of the European ministers responsible for forests, but has also embraced indispensable inputs of non-governmental and intergovernmental organizations. Although the actors involved represent a variety of opinions and interests, they share a commitment to the protection of forests and sustainable development (MCPFE, 2000b). ad hoc working groups, workshops and seminars that are convened to discuss specific subjects for presentation to subsequent expert-level meetings. GCC currently includes Austria, which organized the most recent ministerial conference, and Poland, Norway and Spain, which will organize the following ones. In addition to providing advice to the MCPFE Liaison Unit (a service-oriented office supporting cooperation within MCPFE), the GCC countries are also responsible for financing Liaison Unit activities such as organizing and coordinating MCPFE international meetings, preparing background documents for discussion and compiling final meeting reports. 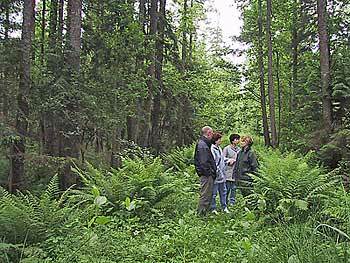 Four Ministerial Conferences on the Protection of Forests in Europe have taken place. The first (Strasbourg, France, 1990) initiated cross-border mechanisms for the protection of forests and focused on technical and scientific cooperation throughout the continent. The second conference (Helsinki, Finland, 1993) reflected on the European approach to global environmental issues, and the participants adopted General Guidelines for the Sustainable Management of Forests in Europe. The Helsinki conference also emphasized the protection of biological diversity as well as the development of strategies to address the consequences of possible climate change for the forest sector. Multiple roles of forests were broadly discussed and recognized at the third ministerial conference (Lisbon, Portugal, 1998), and socio-economic aspects of sustainable forest management were given considerable emphasis (MCPFE, 2000a). Participants at the fourth ministerial conference (Vienna, Austria, 2003) made a commitment to strengthening synergies for sustainable forest management in Europe through cross-sectoral cooperation and sharing the common responsibilities for sustainable management of forests by enhancing forests’ economic contributions, recognizing social and cultural dimensions, conserving biological diversity and building strategies for decreasing impacts of climate change (MCPFE, 2003c, 2003d). The MCPFE process attaches particular importance to the implementation of adopted agreements and commitments despite its non-legally binding character. Governments all over Europe have developed initiatives to implement MCPFE decisions at the regional, national and subnational levels. MCPFE cooperates with a number of international organizations, including FAO, the United Nations Economic Commission for Europe (UNECE), the United Nations Environment Programme (UNEP), NGOs and research institutions, to implement the decisions taken by the ministers. Information exchange between researchers and policy-makers, both within and among the signatory countries, helps integrate the most recent scientific knowledge with the implementation of forest policies. Programmes created following ministerial declarations adopted in Strasbourg, and continuing to develop with the support of the subsequent ministerial conferences, include the European Forest Genetic Resources Programme (EUFORGEN), the EUROSILVA Network of Research on Tree Physiology, the European Network for Research into Forest Ecosystems, the European Network of Permanent Sample Plots for Monitoring of Forest Ecosystems and a Decentralized European Data Bank on Forest Fires (MCPFE, 2000b). Building strong partnership and involving key actors adds to multilateral understanding and contributes to the achievement of defined goals (MCPFE, 2000a, 2003a, 2003c). An example of European integration and high-level cooperation is the multistakeholder dialogue, which has involved representatives of major interest groups – forest owners, industry, social and environmental NGOs as well as scientists – in open discussion. Following the fourth ministerial conference, where dialogue clearly enhanced participants’ mutual understanding (MCPFE, 2003a, 2003d), the following MCPFE expert-level meeting (Vienna, 2003) agreed that multistakeholder dialogue should be included in future ministerial conferences, and that the signatory countries should be informed about major groups’ presentations to ensure more active involvement of the ministers in the discussion. MCPFE also encourages stakeholder participation at the national level, particularly through national forest programmes (MCPFE, 2003c). While all commitments of the Vienna conference are implemented at the regional level, added value can be created by joint actions at the global level. MCPFE maintains contact with global processes involved in enhancing sustainable forest management, including a number of the international conferences, initiatives and processes instigated following the United Nations Conference on Environment and Development (UNCED) (Rio de Janeiro, Brazil, 1992). MCPFE recognizes the significance of global commitments and their relation to its work. It has been contributing to the implementation of the forest-related decisions of UNCED and its follow-up process within the Intergovernmental Panel on Forests (IPF) and the Intergovernmental Forum on Forests (IFF). MCPFE has observer status in the United Nations Forum on Forests (UNFF), whose main objective is to promote sustainable forest management at the global level. The issues encompassed by the commitments of UNFF – inter alia maintaining forest cover, biological diversity, forest health and vitality and the productive, protective and socio-economic functions of forest resources – are all included in the five Vienna Resolutions (MCPFE, 2003c) which are implemented at the regional, pan-European level and also reported to UNFF. To make better use of existing information and resources, UNFF strongly encourages regional and subregional processes to strengthen and facilitate cooperation on monitoring, assessment and reporting (e.g. through joint meetings, workshops and publications). MCPFE has been actively contributing to these. Of the 30 European countries that attended the Strasbourg conference in 1990, 16 were Central and Eastern European countries taking their first steps in the transition from a centrally planned to a free-market economy. MCPFE recognized the importance of forests in this part of Europe and the possibility that economic changes might have negative consequences for conservation of forests during the unstable transition period. Countries with economies in transition requested assistance in the monitoring of forest resources; in response, the Helsinki conference in 1993 adopted a resolution to promote and support forestry cooperation with such countries, and specified future actions. A Team of Specialists on Countries with Economies in Transition was established to monitor the implementation of the resolution, under the auspices of UNECE and FAO, with the help of a database created to assemble project and forest-sector information provided by countries and organizations. In the implementation of the resolution, UNECE and FAO have coordinated more than 500 bilateral and multilateral projects focusing on a wide range of forest issues. A number of workshops, seminars and training programmes have contributed to improved mutual understanding among countries. 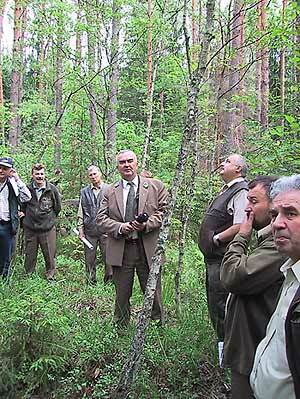 An international workshop entitled “Forests and Forestry in Central and Eastern European Countries” was held in Debe, Poland in 2001 to review forest policy development, new legal frameworks, changes in forestry administration and the management of State and private forests in these countries. Participants identified the challenges, particularly processes of changing ownership structure (privatization and restitution of forests). Essential recommendations to MCPFE included the promotion of participatory approaches and national forest programmes (MCPFE, 2002). Eight of the Central and Eastern European countries have officially completed their process of economic transformation, and in 2004 these countries joined the European Union. However, the process of transition is not only economic, but also social, cultural and political. National forest programmes can help accelerate the latter types of change, which are slower than economic changes. A pan-European approach to national forest programmes, characterized by a participatory and collaborative (rather than controlling) approach, was presented at the fourth conference in Vienna. In addition, the participants in Vienna included for the first time Georgia – a sign that the pan-European Process is ready to build bridges further east. Since January 2004, the secretariat of the MCPFE Liaison Unit has been based in Warsaw, and the next Ministerial Conference on the Protection of Forests in Europe will take place in Poland – a clear demonstration of collaboration between east and west. The Eastern European countries are frequently among those with the highest achievements in many aspects of sustainable forest management. The engagement of MCPFE has certainly been one factor in this positive outcome. To help countries meet their commitments, MCPFE offers various instruments for harmonizing terms, definitions, methods, concepts and approaches. One of the key tools is a set of criteria and indicators for sustainable forest management, which provide a base for monitoring, assessing and reporting on countries’ progress towards sustainable forest management. The process of creating and developing pan-European criteria and indicators began immediately after the endorsement of the definition and the general guidelines for sustainable forest management at the Helsinki conference in 1993 and is still under way. The process has engaged numerous experts representing a wide range of countries and organizations. The first MCPFE set of criteria and indicators was adopted at the technical level in 1994 (Rametstainer, 2001). Countries at the third ministerial conference in Lisbon in 1998 adopted six pan-European criteria of sustainable forest management and endorsed the related indicators (MCPFE, 2000a). Countries also made a commitment to integrate the criteria and indicators into national forest programmes or other relevant policy frameworks. The diversity of European forests and forestry made the task of developing region-wide criteria and indicators a challenge. European forests (of which most are semi-natural) have been shaped under contrasting climatic, economic and political conditions and have been managed differently according to the diverse interests of owners, managers and other groups. In this context, the endorsement of common criteria and indicators with the open participation of stakeholders must be seen as one of the most significant MCPFE achievements. The process of development of criteria and indicators comprises implementation at both the national level (e.g. as a basis for elaboration of national sets) and the international level (e.g. as a framework for harmonized reporting). At the same time, indicators have been subject to revision and further improvement. A revision initiated after the Lisbon conference, involving comprehensive analysis and wide consultations, resulted in an improved set of MCPFE criteria and indicators which was adopted at the technical level in 2002 and endorsed by the ministers at the fourth ministerial conference in Vienna (MCPFE, 2003b). From the beginning the MCPFE criteria and indicators have influenced the shape of international reporting on forests (both for UN agendas and MCPFE), especially by the countries of the temperate and boreal zones. Cooperation between MCPFE and the UNECE and FAO units responsible for the European portion of FAO’s Global Forest Resources Assessment 2000 (FRA 2000) led to harmonized definitions and classifications and helped avoid duplication of efforts and structures, economizing the process. Subsequent reports on the state of European forests, which are an important source of information for reviewing the implementation of political commitments, have been elaborated on the basis of the MCPFE criteria and indicators (MCPFE and UNECE/FAO, 2003). The data collected and the experience gained through reporting have been important for subsequent steps in developing the criteria and indicators. Earlier results revealed some problems of data availability in all participating countries, yet the awareness of such problems helped advance implementation of sustainable forest management. 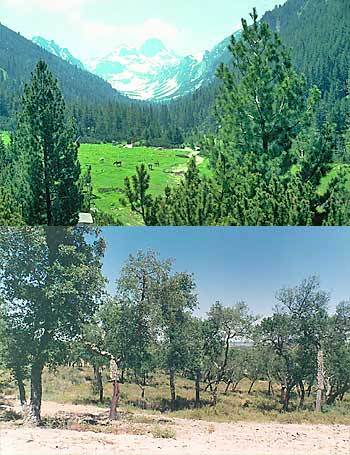 Steady positive trends have been observed in indicators such as forest area and biomass volume. While special emphasis is put on countries with economies in transition, it is encouraging that almost all indicators for sustainable forest management show no significant differences between Eastern and Western European countries. Initially, MCPFE concentrated on environmental aspects more than on the other two pillars of sustainable forest management (economic and socio-cultural). It soon appeared, however, that forest decline was jeopardizing the sustainability of all forest functions. The importance of economic factors was raised during the second conference in Helsinki; it was confirmed in the definition of sustainable forest management and further developed in the General Guidelines for the Sustainable Management of Forests in Europe (MCPFE, 2000a). Attempts to implement the ministerial commitments exposed constraints at the national level, revealing that economic viability was an indispensable condition for enhancement of all aspects of sustainable forest management. Consequently the economic aspects of forestry were emphasized at the third ministerial conference in Lisbon, particularly in a resolution on Enhancement of the Socio-Economic Aspects of Sustainable Forest Management, and at the fourth conference in Vienna, which adopted a resolution on Enhancing Economic Viability of Sustainable Management in Europe (MCPFE, 2003c). Other MCPFE resolutions and instruments of sustainable forest management that focus less specifically on economic aspects, including most notably criteria and indicators, also address economic issues. MCPFE has been searching for new sources of financing for sustainable forest management. The ministers, pointing to the need to support the delivery of multiple-use benefits, initiated efforts to value the full range of goods and services. The results are expected to be included in relevant forest policies and programmes. Additional financial resources are to be obtained by promoting the role of forests in other areas of sustainable development, such as rural development, climate-related policy and protection of biodiversity. 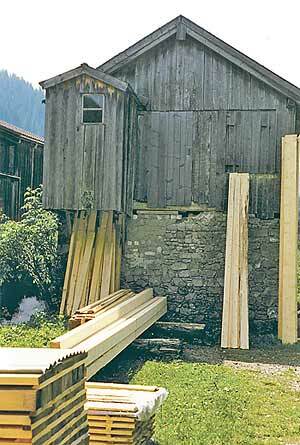 MCPFE has reaffirmed the indispensability of wood, stressing its role as a substitute for non-renewable resources. It has also emphasized the importance of marketing new forest products and services. When indicating multiple goods and services to be provided in the framework of each function of forest, the ministers assumed symmetrical increases in relevant financing to compensate traditional financing, which was insufficient because of both removal limitations and increased costs of implementing sustainable forest management. Despite intensive actions to identify new sources of financing for sustainable forest management at both the pan-European and national levels, the share of financing for non-productive functions has not followed the demand. Insufficient funding provided additional incentive to search for new possibilities for securing the economic viability of sustainable forest management. To this end, MCPFE has developed multiple initiatives for enhancing competitiveness and entrepreneurship, through inter alia the use of innovative economic instruments. The ministers perceived the expansion of European forest resources as a chance to enlarge the income gained from traditional wood and non-wood forest products. Education and training would contribute by improving management. Further development of stakeholder cooperation was suggested by the ministers as another tool for the enhancement of the economic power of the sector. In recent decades, rapid development and intensified use of natural resources have caused losses of biological diversity in European forests. MCPFE has been concerned with protecting variability among forest living species and the ecological processes of which they are part, genetic diversity and the diversity of ecosystems and landscapes. Forest biological diversity was made an integral part of the concept of sustainable forest management endorsed by the European countries at the Helsinki conference in 1993. The Helsinki conference also adopted General Guidelines for the Conservation of the Biodiversity of European Forests (MCPFE, 2000a). Conservation of forest biological diversity was again addressed in Vienna in 2003 by the adoption of a resolution on Conserving and Enhancing Forest Biological Diversity in Europe and the presentation of Assessment Guidelines for Protected and Protective Forest and Other Wooded Land in Europe (MCPFE, 2003c). Since 1997, MCPFE has implemented its biodiversity work programme in cooperation with the Environment for Europe ministerial process and the Pan European Biological and Landscape Diversity Strategy (PEBLDS), with which it shares common goals of conservation and enhancement of forest biological diversity. PEBLDS, endorsed in 1995 at the third Environment for Europe Ministerial Conference in Sofia, Bulgaria, is a European response to support the implementation of the Convention on Biological Diversity (CBD). Participants in PEBLDS have agreed to halt the loss of biological diversity at all levels by 2010. A Framework for Cooperation between MCPFE and the Environment for Europe/PEBLDS was presented at the Vienna conference in 2003 and was also adopted at the fifth Environment for Europe Ministerial Conference in Kyiv, Ukraine in May of that year. The two ministerial processes endorsed a joint Work Programme on the Conservation and Enhancement of Biological and Landscape Diversity in Forest Ecosystems 1997–2000. It has proved to be a useful tool for collaboration on forest biodiversity issues between the pan-European forest and environment processes. The priority themes for cooperation for the period 2003 to 2005 are as follows. Ecosystem approach: Work should contribute to clarification of the relationship between the ecosystem approach and sustainable forest management, building on MCPFE’s previous work on the latter. Protected forest areas: Building on MCPFE’s work on protected areas and on ecological networks, the link will be made between concepts of protected forest areas and protected areas in general. Forest law enforcement with regard to biodiversity conservation: Work will explore the impacts of illegal harvesting and related trade and institutional capacity-building. Recommendations for site selection for afforestation: Recommendations will be elaborated in the context of the decisions of the United Nations Framework Convention on Climate Change (UNFCCC) and its Kyoto Protocol, taking account of biodiversity interests. This effort will build on recent work by the World Conservation Union (IUCN) and the United Nations Environment Programme (UNEP), adapted to the European situation. MCPFE is a successful example of cross-border cooperation, providing an effective political framework for European integration. It has been stimulating mutual awareness and understanding of the ecological, economic, social and cultural dimensions of forests in sustainable development throughout the region. A factor that has helped to make the process a success is its continuity, provided particularly by the General Coordinating Committee, which prepares and follows up the ministerial conferences, and the compact secretariat which services the country-led process. GCC’s rotating membership of four countries, one each from Europe’s south, north, east and west, facilitates the process. The accomplishments of MCPFE are regarded as milestones in the development of international forest policy. Despite the variety of conditions, opinions and interests represented, the discussion, debate and teamwork within MCPFE have built bridges between the east and west as well as the north and south of Europe. This long-term commitment at the highest political level has not only realized a unique, collaborative approach to forest management and conservation, but has also created strong links to other regional and global processes sharing a mutual concern for the future of the world’s forests. MCPFE. 2000a. General Declarations and Resolutions adopted at the Ministerial Conferences on the Protection of Forests in Europe, Strasbourg 1990 – Helsinki 1993 – Lisbon 1998. Vienna, Austria, MCPFE Liaison Unit. MCPFE. 2000b. Ten years of commitment to European forests – the Ministerial Conference on the Protection of Forests in Europe. Vienna, Austria, MCPFE Liaison Unit. MCPFE. 2002. Forests and forestry in Central and Eastern European countries – the transition process and challenges ahead. Proceedings of an international workshop, Debe, Poland, 12–14 September 2001. 2 Vols. Vienna, Austria, MCPFE Liaison Unit. MCPFE. 2003c. Vienna Declaration and Vienna Resolutions adopted at the fourth Ministerial Conference on the Protection of Forests in Europe, 28–30 April 2003, Vienna, Austria. Vienna, Austria, MCPFE Liaison Unit. MCPFE. 2003d. Fourth Ministerial Conference on the Protection of Forests in Europe – Conference Proceedings, Vienna, Austria, 28–30 April 2003. Vienna, Austria, MCPFE Liaison Unit. MCPFE & UNECE/FAO. 2003. State of Europe’s forests 2003 – the MCPFE report on sustainable forest management in Europe. Vienna, Austria, MCPFE Liaison Unit.